There’s that creepy, uneasy sense that things are just not right. You face it with the growing social media superficiality, flaming tweets and posts, fashionable causes, mounting “offendedness” or “triggeredness,” constant remaking of personal identities, and the perpetually prevalent shrug of the shoulders with the roll of the eyes and a “whatever”. 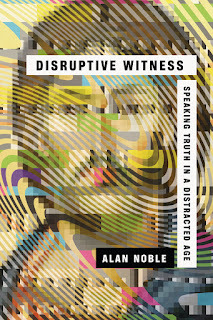 Alan Noble, assistant professor of English at Oklahoma Baptist University, cofounder and editor in chief of Christ and Pop Culture, and contributing author to The Atlantic, Vox, BuzzFeed, The Gospel Coalition, Christianity Today, and First Things, addresses these trends, and more, in his brand new 208 page work, “Disruptive Witness: Speaking Truth in a Distracted Age”. Noble talks to twenty-first century Christians in a way that is meant to bring us to think differently about our present environment and see it more clearly; as well as question our thoughtful, and not so thoughtful, assumptions. “Disruptive Witness” follows a simple line of consideration, drawn from Charles Taylor, and posits that we “are buffered selves, protected behind a barrier of individual choice, rationalism, and a disenchanted world” (37). Noble pursues this course page after page, exposing how we create this buffered space by our personal distractedness, by our secular society’s habit of turning “everything back to the self” (55), and by our churches capitulating “to secular conceptions of faith as a personal lifestyle preference” (120). As a result, we now live in a frenetic and flattened culture that “is not conducive to wrestling with thick ideas, ideas with depth, complexity, and personal implications.” Rather, we now have a “culture of immediacy, simple emotions, snap judgments, optics, and identity formation” (24). All of these aspects set up a buffer so that the ways we Christians are used to speaking about the Faith, are no longer heard. Noble does not focus on diagnosing the problem alone, but presents solutions. “To be a follower of Christ in the early twenty-first century requires a way of being in the world that resists being sucked into the numbing glare of undifferentiated preferences we chose from to define our identity” (172). The author offers multiple suggestions and encouragements on how we can be disruptive witnesses. For example “saying grace” at meals, whether at home or in public establishments, is a way of reminding ourselves that this world is not of our own making, and this Christian Faith is not some privatized penchant. But even more substantively, learning to live “allusively” – recognizing that creation, taste, sound, sight, relationships, and so forth, allude to something beyond themselves, beyond The Self, and ultimately to the Author and Creator of all things. Noble calls this the “double movement” where we delight in the beauty of a moment, creature, object, and then to be drawn “onward and upward to God” (98). There are other significant submissions by the author that include the Sabbath, the church’s liturgy, and more, all of which are very helpful, and well thought out aspects of how we can be rightly disrupted and disruptive witnesses. I think that the author’s perceptions and prescriptions are worthwhile and helpful. In Noble’s own words, the “challenge facing us today is not so much the temptation to be relevant to the point that we lose the gospel, but the tendency to unknowingly accept a secular understanding of our faith while believing that we are boldly declaring the gospel. Virtually every institution in our society insists that we determine the shape of our lives by personally selecting from an ever-increasing set of patchwork ideologies…But the church does have the resources and practices needed to present a disruptive witness, if we will take the time and have the will to act” (173). 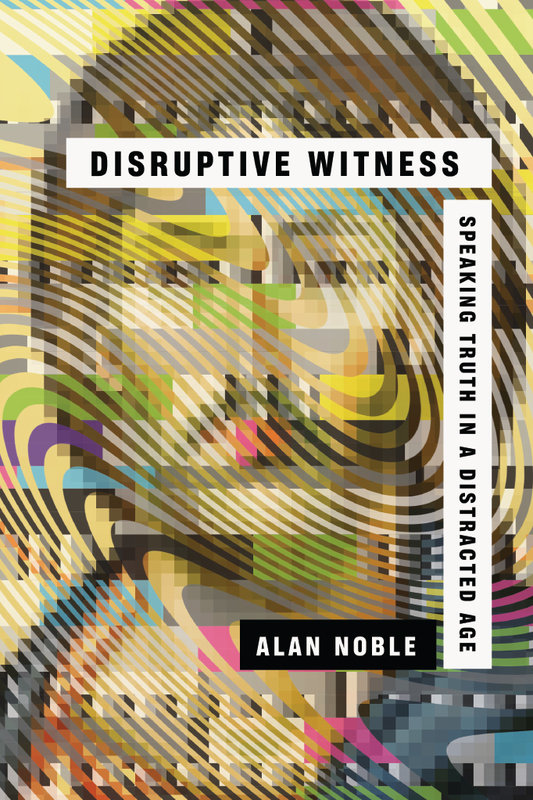 “Disruptive Witness” is a sober volume for Christians in the twenty-first century. A careful read and open discussion will benefit evangelists, apologists, pastors, elders, and Christians of every stripe. It is a book that is urgently needed by those followers of Christ who are deeply concerned about social issues, racial and ethnic tensions, environmental affairs, and governmental actions; and those who aren’t. “Disruptive Witness” ought to be consumed and deliberated over by disciples of Jesus who vote Republican, Democrat, Green or Libertarian. In other words, it is an important book for all Christians, especially those who care about the Faith and God’s world rescue operation! Thanks to IVP Academic for providing, upon my request, the free copy of the book used for this review. The assessments are mine given without restrictions or requirements (as per Federal Trade Commission’s 16 CFR, Part 255).